ACT Right is responding to the needs of families as the Christmas season approaches – families whose lives and homes have been upended with the expense of property repairs, who need help to bring the Christmas spirit to their children. 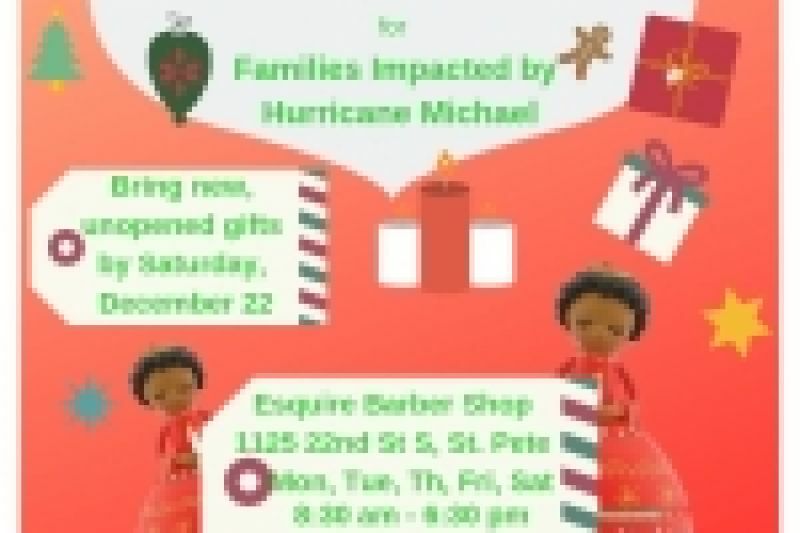 ACT Right is now accepting toys and school supplies at Esquire Barbershop, 1125 22nd St S, St. Petersburg, 33712, from 8:30 – 6:30 pm on Mondays, Tuesdays, Thursdays, Fridays, and Saturdays (shop is closed on Wednesday and Sunday). Saturday, December 22 is the last day to donate.